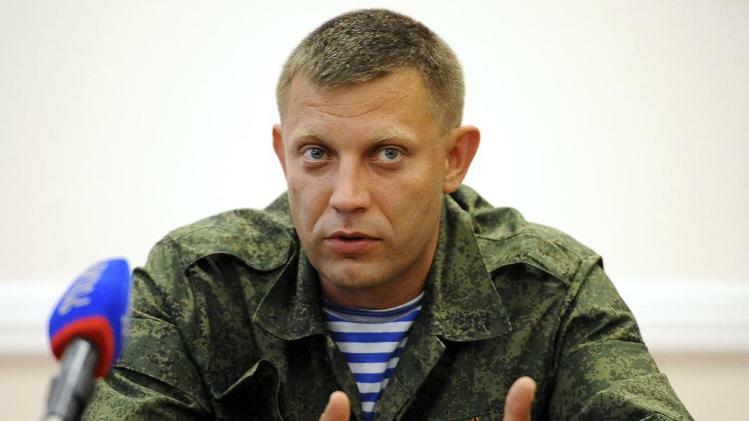 DONBASS, Ukraine – Alexander Zakharchenko, leader of the Donetsk People’s Republic (DPR), stated that the plan to exchange detainees in Donbass is supported by the republic, his press service said to Donetsk News Agency. “Yes, I supported Russian President [Vladimir Putin’s] initiative. The reason is simple: it does not run counter to our principles and the way the republic behaved regarding the detainees issue before,” the DPR head is quoted as saying. “I agree with the Russian president’s position on the detainees exchange issue: We should be guided by principles of humanism here. The detainees exchange should not remain an issue of war and trade. I’d like to reiterate that back in 2014, when hundreds of Ukrainian servicemen yielded themselves prisoners to us, I sent them back to their relatives and wives numerous times in return for a promise that they won’t return to the war,” Zakharchenko noted. “The fact that we uphold moral principles is proved by our respectful attitude towards detainees. And the fact that Ukraine’s authorities and punitive battalions controlled by them lost a human shape long ago is proved by the fact that our captured comrades are tortured to death. Even during the previous exchanges – and dozens of journalists may prove it – the detainees we returned to Kiev were healthy, cured at our expense, well-fed and clothed, whereas Kiev returned our comrades injured and close to death,” the DPR head added.